Mission Hill is currently experiencing a renaissance fueled by its convenient proximity to local hospitals, schools, and public transportation. The area offers attractively priced housing, and access to Boston’s Back Bay to the East and Brookline to the West. 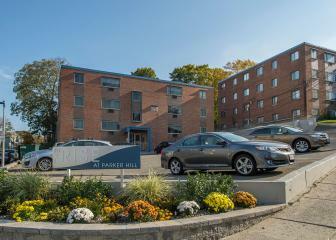 The Rise at Parker Hill consists of three apartment buildings: 198 Hillside St, 40 Parker Hill Ave, and 44 Parker Hill Ave. With its totally renovated entryways and lobbies, each unit at The Rise features brand new kitchen and baths, hardwood floors, and a bright contemporary feel. With onsite parking and convenient access to major local hospitals, The Rise provides the ideal combination of quality, value, and attractive design.